Prolific and multifaceted British composer and conductor Peter Maxwell Davies died Monday at age 81 at his home in the Orkney Islands, off the northern coast of Scotland. His death, from leukemia, was reported on the websites of both his publisher and his management company. Called the “harlequin of British music” for more than five decades in a tribute by author Paul Griffiths, Maxwell Davies leaves a trove of varied works. Within some 300 pieces, there are 10 symphonies (hailed by the Times of London as “the most important symphonic cycle since Shostakovich”), concertos, operas, song cycles, chamber music of all kinds, ballets, choral pieces and music for children. His latest work, The Hogboon, an opera for children, will debut with the London Symphony Orchestra June 26. He’ll be remembered for both his controversial, expressionistic early works and later, more lyrical pieces incorporating elements of folk music, such as An Orkney Wedding, with Sunrise, a 1985 tone poem that features bagpipes. One of the composer’s more recent concertos inspired by seascapes near his island home of Sanday, Orkney is Fiddler on the Shore, written for violinist Daniel Hope, who premiered the piece at the 2009 BBC Proms concerts with the Leipzig Gewandhaus Orchestra. Maxwell Davies was born Sept. 8, 1934 in Salford, just outside Manchester. Composing seemed to come naturally for him. He wrote his first pieces in 1942 while still learning to play the piano. Later he studied at the Royal Manchester College of Music, Princeton University and Manchester University, where he helped form a coterie of like-minded composers interested in the latest serial techniques — including Harrison Birtwistle and Alexander Goehr — known as the New Music Manchester group. With a keen ear on the popular modernists of the times, such as Pierre Boulez, Maxwell Davies was also deeply influenced by the masters of the past, especially choral music from the English Renaissance. In 1962 he began in earnest the composing of his opera Taverner, inspired by 16th-century composer John Taverner. The music and ideas in the opera folded back on themselves and triggered a period of “parody and distortion” in his music, as Griffiths describes it. At this time Maxwell Davies was beginning to earn his first important commissions, including one for the popular Proms concert series in London. He was also finishing up his directorship of music at the Cirencester Grammar School, initiating his longstanding dedication to music education in Britain. Not everyone took the composer’s music to heart, at least right away. As reported by the BBC, people shouted “rubbish” at the 1969 premiere of his music-theater work Eight Songs for a Mad King. And earlier today in an email Griffiths recalled attending the debut of the composer’s Worldes Blis: Motet for Orchestra, which inspired much of the audience to walk out in protest. The year 1971 marked a turning point in the composer’s music, coinciding with his move to the austere landscapes of the Orkney Islands. 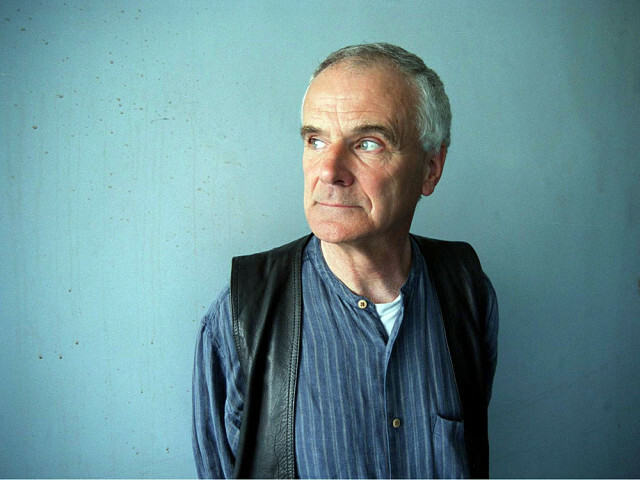 Maxwell Davies began writing music in a more relaxed vein, inspired by his surroundings, in pieces such as the song cycle Stone Litany, the chamber symphony A Mirror of Whitening Light and the solo piano piece Farewell to Stromness, part of The Yellow Cake Revue, a musical protest in cabaret form against uranium mining in the Orkney Islands. Maxwell Davies was showered with honors, including knighthood in 1987. In 2004 he was appointed Master of the Queen’s Music, a 10-year position, and in 2014 he was made a Member of the Order of the Companions of Honor. The composer also thrived as a conductor, and held positions with the BBC Philharmonic and Royal Philharmonic. He regularly led top orchestras around the world, and for 20 years directed his own chamber ensemble, Fires of London.